Louisa George&#39;s Latest Novel - And A Giveaway! Louisa George's Latest Novel - And A Giveaway! 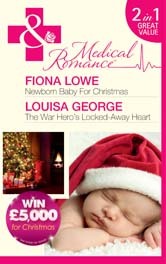 ANNOUNCEMENT: The winner of a signed copy if Louisa's latest release THE WAR HERO'S LOCKED AWAY HEART is Fiona Marsden. Congratulations Fiona. Louisa- Thanks so much for inviting me over to your blog! It's lovely to be here. Maria- You're very welcome, Louisa. I've noticed that your characters, particularly the heroines are very well drawn and tend to come alive on the page. The heroines in your first two novels, Jessie and Mim, were very likeable. Both of them struck me as women who I'd lik e to have as a friend. no-nonsense, get on with it attitude when her marriage broke up under such tragic circumstances, especially the way she just dedicated herself to helping others. 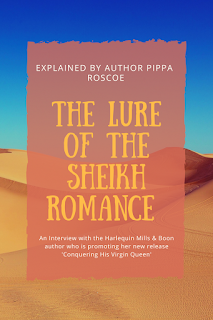 I also admired Mim in WAKING UP WITH HIS RUNAWAY BRIDE for putting her passion for rural community medicine before her engagement to a man who back then was rather shallow and selfish. What I wanted to ask you was what is more important to you when writing your novels? The characters or the plot? Louisa I'm so glad you like my characters! For me character is the most important thing. If you think about all the great books you've read, I'll bet it's the characters that stand out rather than the action: think Scarlett O'Hara, Heathcliff etc One of the best pieces of advice I was ever given was to make the heroine sympathetic from the start, that way your readers will be rooting for her. So I try to get them in situations at the beginning that a reader can identify with. Maria I'd also like to ask you where do you get the inspiration for your characters for your novels? From your imagination, or are they inspired by real life people you know? And are your plots inspired by real life or are they entirely inspired? Louisa The heroines are all from my head, in fact, I think they're who I'd like to be if I was braver, stronger, taller, funnier, younger! I possibly take traits from people I know and admire, but I couldn't possibly say who! The secondary characters are sometimes little bits of people and I have fun creating them. However, I do get myself into a bit of a hole sometimes, like when Skye (secondary character in book two) became the heroine for her own story- what to do with a nose-pierced black-haired goth? Hopefully I managed to make her likable (in The War Hero's Locked-Away Heart). As for plots- that all stems from the internal conflict- e.g. in The War Hero's Locked-Away Heart I started with an image of a man standing on an outcrop, a loner who wanted to hide from the world, and I had the feeling something terrible had happened to him, and that he didn't trust himself to love again. Enter Skye- lovable, bubbly Skye who is the total opposite of him, and who believes the world is her playground - so much potential for plot there. Maria When you sit down to actually write a novel, do you have the whole thing plotted out from start to finish? Do you go with a rough outline, being open to new developments as they occur to you in the writing? Or do you just start with a blank page and work it from there? Maria It probably comes quite naturally to you to set your books in the medical world in New Zealand. Living as you do in New Zealand and having a medical background means that you know the world about which you're writing. Do you ever have to do additional research to help with a book you're working on? Louisa I do research all the time, particularly about the medical things- I feel it's so important to get every fact right! (I'm paranoid about it! ).Luckily I have a husband who's a doctor so he can help. As for settings,usually I make them up, but my current work in progress is set in London and even though I lived there for 7 years it was a long time ago, things change so much. Thank goodness for the internet! Maria Are you good at spotting your own mistakes when you re-read your drafts? I know I'm not! Maria I know you're a novelist. Could you share with us if you've dabbled in other types of writing too? Articles? Short stories? Anything else? 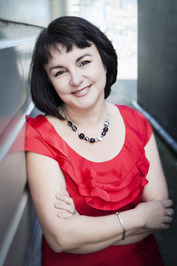 Louisa I've written articles about health for magazines - mainly in New Zealand- under my real name. 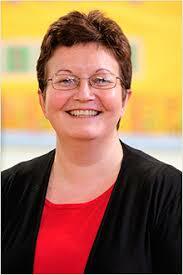 When I was working as a nurse I had a few articles published (as joint author) in the British Medical Journal too. Maria Of the three books you've released so far, which is your absolute favourite and why? as an author. It was my 'rite of passage' book (plus it has dancing/ballet/salsa in it, which I adore). Thanks for such interesting questions. 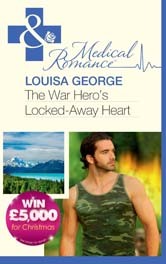 I'd love to give away a copy of The War Hero's Locked-Away Heart to one commenter! Maria Thank you for coming Louisa and thank you for the giveaway. Great interview Maria and Louisa. Love the hint for spotting mistakes in mss. Hi Suzanne! Thanks for coming to the blog today- and I'm so glad something clicked for you. I agree about printing draft copies to proofread. I have done that for years (with my home-based typing business). Not only is it easier to find the mistakes, but I find it is easier to move sentences, paragraphs, etc. around, page by page - rather than scrolling back and forth between pages on the computer. Besides, if you cross off your change on the page, you can still see it in case you decide to go back to your original way of thinking - and a computer has undo and redo IF you can go back that far to find how you changed it in the first place. Yup. Give me an old-fashioned printed copy any day! And yes. I proof mine at the dining room table, well away from my computer, where there is great lighting and lots of space for me to spread out my pages, if necessary. Whatever works for you! If it ain't broke, don't fix it! I love that hint too, Suzanne. Great interview. I look forward to reading your books. Love a wounded hero. Fantastic interview Maria and Louisa ! Thanks for the insight into the background of your work. Hi Maria and Louisa. Love the interview Maria, you do such a great job with interesting questions and I really enjoyed reading the answers Louisa. I'm just stopping by to recommend this book to everyone because A)it's a fantastic story which will definitely warm those of you who are facing the cooler months on the side of the world from me and B)the setting is my home/my backyard almost and it's such an accurate depiction of coastal live in New Zealand that it really made me smile that I'm a Kiwi and I can freely enjoy the fantastic beaches we are so lucky to have. I love the character of Skye, I love how she looks different to other heroine's and I really believe her personality pulled off her description. She was someone I'd love to know. I hope everyone else around the world enjoys this book as much as I did. I loved reading the interview, ladies! The War Hero's Locked-Away Heart is an awesome story and I enjoyed it! Fiona, I think you're going to love Louisa's medicals. They have such heart in them and such humour. Hi Tash, I'm reading a lot of books set in New Zealand these days. It's definitely one place I have to see in my life. I'm fascinated by the fact that Louisa's had articles and papers published. It seems to be a good way for an author to start. I've had features and short stories published. Lovely to see you here with another lovely new book! (And you're sharing your book with my friend, Fiona Lowe!! )BTW Louisa was my guest blogger back in April. I am different to a lot of people. I prefer working on the screen because I can go back and search for bits and pieces I might or might not have have seen earlier (repetition, missing information or continuity problems). Also, I might highlight something I am unsure of and go and search for it later. And it's easy to undo a highlight. Maria, thanks for having Louisa as your special guest blogger. Hi Princess Fiona! Adam is tortured but oh so lovable! Hi Desere! I don't know about you, but I'm very nosey- I like to know about people...and authors in particular! LOL! Hey gorgeous Libby! Thanks for coming to see me here! I love to dream about what it would be like to be a different person- and thanks to my job I get to play every day! It's interesting how we all have our own processes, isn't it? I always worry that if I highlight something I might never be able to un-highlight it! LOL. I once had an mss that had every single WAS in BOLD- so I could easily see them and try to rewrite with show not tell- but I couldn't get rid of the capitals no matter how hard I tried! Great to see you here, Libby. Girls, I so totally identify with what you're saying about the characters you create. I also create characters who I'd like to be if I didn't have all these problems like a constant battle with my weight and a more assertive attitude. Yes, it's on my list of places I have to see - I'll get there someday!!! I've got this list of things I have to do and places I have to see when the kids move on....and thank you, I'm so glad you enjoyed answering my questions. As we have laptops nowadays it's possible to change your work and still be in a different room LOL. And I read your short stories, Maria. They are good. All the best! Hi Louisa, I enjoyed reading your answers to Maria's questions. Thank you Maria and Louisa! What a great interview! Lovely to read more about you, Louisa. I might have to take your wounded hero home ;-) I'm looking forward to reading how love heals his wounded heart. PS: LOVE the background on your blog, Maria. It's lovely to see you over here. You're very welcome. I'm not very imagiinative when it comes to appropriate blog designs but I've got a daughter who helps me, so I've got her to thank for your compliment. And on her behalf I thank you back! Kia Ora to a fellow New Zealander. Nice to 'meet' you, Louisa. I very much agree with the printing out of the manuscript to proofread - I find it easier to catch errors that way. Your characters have a high approval rating from fellow commenters - my interest has been piqued now, too. Great interview Louisa and Maria! Louisa, I love how you said you create your characters:). I'm gad I'm not the only writer that makes my characters everything I'm not(stronger, thinner, younger, etc.). BTW, how nice to have hubby as a medical consultant for your medical romances;). Hi Cherie! Thanks for stopping by, and Kia Ora! I'm at the third chapter point of my current wip and I'm only starting to get to know them- it's funny isn't it, considering they're all in my head anyway! LOL! Hi Juanita! Thanks for coming over and reading our interview, such great questions! Yes, it's a fabulous background for a romance blog- so cute! Hi Maria! Having a husband in the business is a real bonus! But I still do a lot of research around the subjects too- I'd hate to get details wrong! Although, to be honest, the emphasis in these stories is less on the medical stuff and much more on the romance.